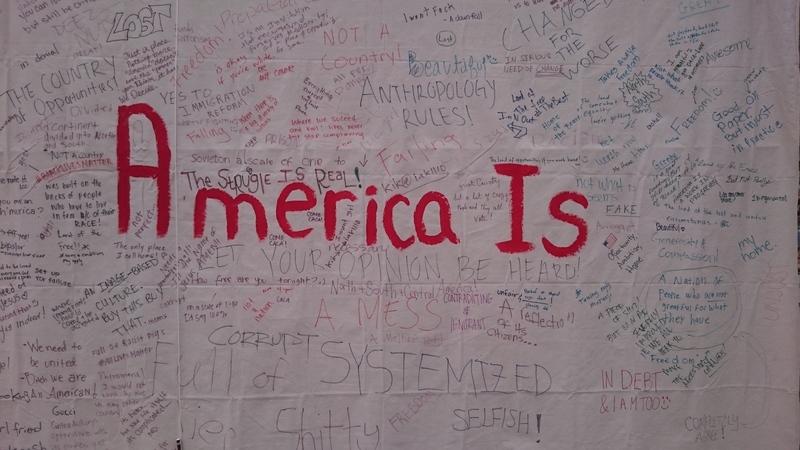 By Emmanuel Gutierrez |Features Editor| As an escape from digital chat rooms and flaming, cyber-space forums, two pens dangled before a massive cloth inscribed with "America is" in crimson paint, offering students a platform to express their national sentiments for others to see. As of writing, the Coyote Chronicle is unaware of the club, class, or persons responsible for hanging up the interactive mural. Regardless of that information, Coyotes have willingly participated in what may be a social experiment to gauge and analyse the responses or behaviours of participants. "It's interesting. People from different races, backgrounds, and creeds have different things to say. It's not … [Read more...] about America is . . .